Online stores can be found practically anywhere nowadays. However, while I do have my favorite choices in terms of where to shop for clothes and where to shop for accessories, I have to admit that there are times where I simply want to get the whole shopping-mall experience from the comfort of my own home (or coffee shop). 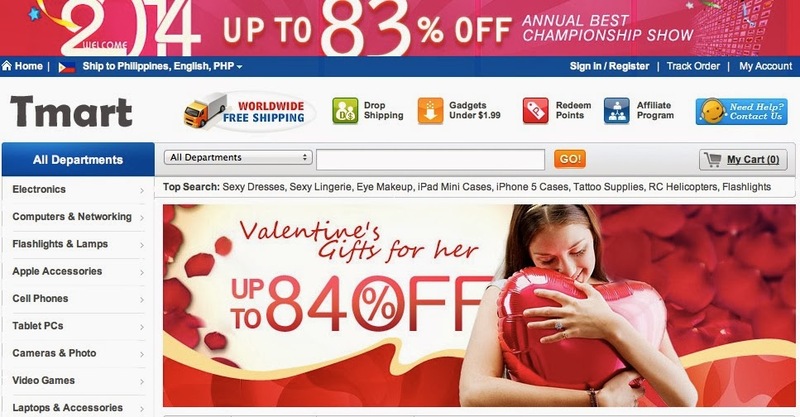 In other words, there are times where I feel like browsing through a single site for everything that I might need - be it gadgets, beauty products, clothes, toys, gym stuff or gifts. This actually holds especially true when I need to buy a gift but have no idea where to start. What I love the most about Tmart is the fact that they always have great ongoing sales. Hehe. I mean, come on? Who doesn't love a great bargain, right? Well, right from the get-go - as in, right when you enter the site - Tmart will show you the best deals that they have on offer, so you can instantly see if there is anything that catches your fancy. Aside from that, they will also give you great gift ideas for upcoming holidays… Valentine's Day, anyone? 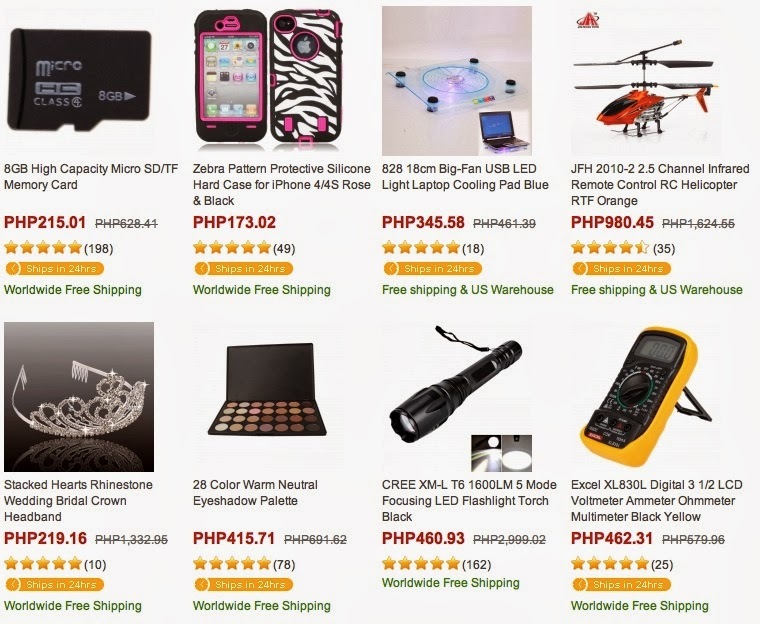 - followed by a list of their Top Sellers, Editor's Choice picks and other Creative Products. After that, the rest is up to you. 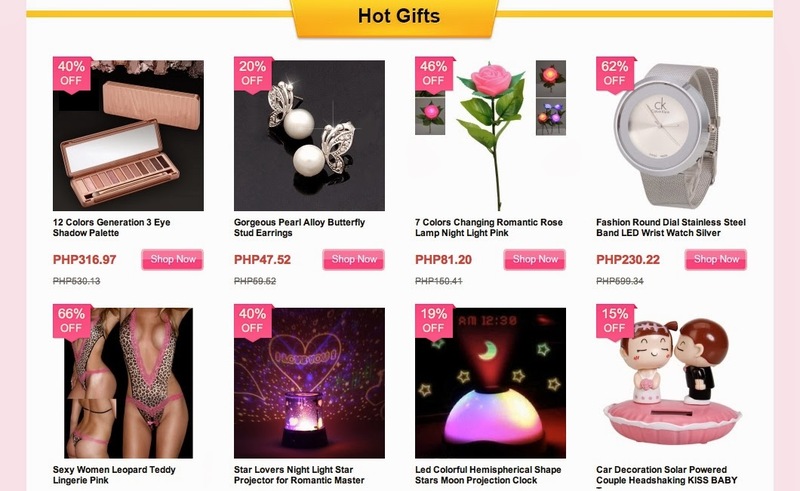 You can browse the different categories on the sidebar with ease or simply search for what you need in the Search Bar in case you already have an idea of what you want to buy. Easy peasy! Did my blog post not convince you to check it out yet? Then check out other people's Tmart reviews and testimonials yourself!